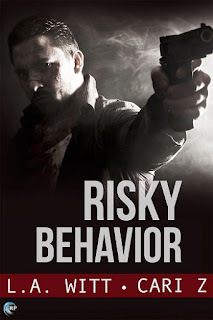 Wicked Reads: Suspicious Behavior by L.A. Witt & Cari Z. The second book in this series is an exciting and often emotive read. After their first investigation together revealed systemic police corruption – and with colleagues still losing their jobs as a direct consequence – Detectives Corliss and Ruffner don’t have many friends left in the police department. When they are assigned to investigate cold cases at another precinct, they manage to make themselves even less popular. This book works for me on every level. The hunt for an active and prolific serial killer is alternately terrifying and exciting. The police politics are frustrating. And Andreas and Darren’s personal lives just keep getting messier. Like all great detective stories, the investigation is intricate and fast paced. As with all great detective series, we are very slowly drawn further into the characters’ lives with each book. The police corruption storyline didn’t finish with the first book and I’m pretty sure it will extend into the next book. I still love the partnership between Andreas and Darren. The older, jaded detective lends his experience and insight while the younger, politically connected newbie offers a fresh perspective. But things feel a little bit more equal between them this time around. Romantically, these two feel solid in this second book and I love how they are becoming true partners as much in their personal lives as they are in their professional lives. I am loving this series and I can’t wait for the next one! After bringing down the Mayor and a bunch of corrupt cops, Andreas and Darren are now pariahs in the police force. They take a bunch of unsolved murders from another precinct and discover they have a serial killer on their hands. And so begins the hunt for the murderer. I love a book where the crime solving is mixed with romance and this book does it brilliantly. In between hunting for a serial killer and dealing with family dramas on both sides, Darren and Andreas struggle to find time for themselves and their relationship. With so much going on, the story moves at a fast pace and there was never a dull moment. I was completely sucked in to the story, action, and romance that it was over before I knew it. But there is still so much to learn about Andreas and Darren and so many more crimes out in the big wide world I'm hoping the authors have many more books planned for our detectives because I want more. I absolutely loved Suspicious Behavior. 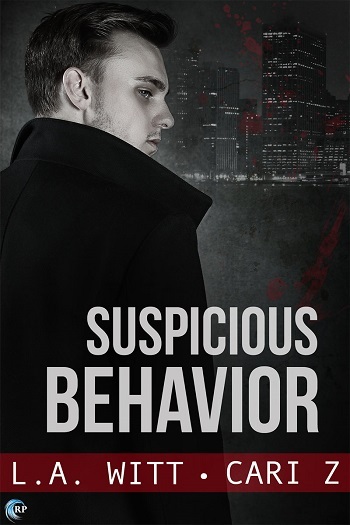 Reviewers on the Wicked Reads Review Team were provided a free copy of Suspicious Behavior (Bad Behavior #2) by L.A. Witt & Cari Z. to read and review.